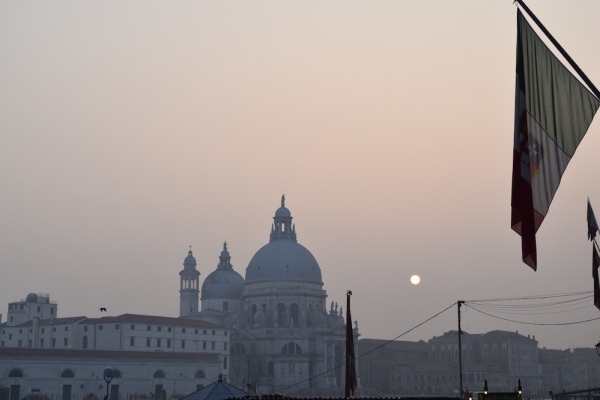 This winter, several cities in Italy have imposed regulations aimed at reducing pollution. Rome and Milan imposed a ban on cars during certain times of day, while a small town in Campania outlawed the use of wood-fired ovens. With national and local governments around the world taking measures to combat air pollution and climate change, Italian authorities are following suit. With this year’s exceptionally warm and dry winter, air-pollution measures have reached alert levels. Milan in particular has taken strong initiative, as the lack of rain in recent months has caused pollution levels to surge even higher. Several areas of the city, including the business center, have outlawed the use of cars during certain times of day. This year’s holiday celebrations were targeted as well, as cities all over Italy are accustomed to major fireworks displays during New Year’s and Carnevale. The town of Lucca in Tuscany and Terni in Umbria prohibited traditional bonfires that usually take place during New Years and the Epiphany, while other cities sought to ban fireworks displays, with varying degrees of success. Many residents feel that outlawing such activities for only short periods of time is worthless. Of course more permanent solutions should, and hopefully will be found. One such solution is encouraging the use of public transportation. In Rome, Milan, and Turin, authorities have encouraged people to use public transportation by making a single ticket valid for the entire day. Across Italy, various measures have been taken to combat global climate change. In the town of San Vitaliano, near Naples, the mayor instated a three-month ban on using wood-fired pizza ovens, after air-pollution alert levels were exceeded several times over the past year. Turns out pizza is not only bad for keeping a slim figure, but more importantly for the environment. Climate change is a heated topic regardless of what country you are in. The goods news, however, is that Italian officials are starting to impose regulations to combat the colossal problem. With these new measures and the expert planning help of the Italian Concierge, you can certainly breath easy during your next trip to Italy!